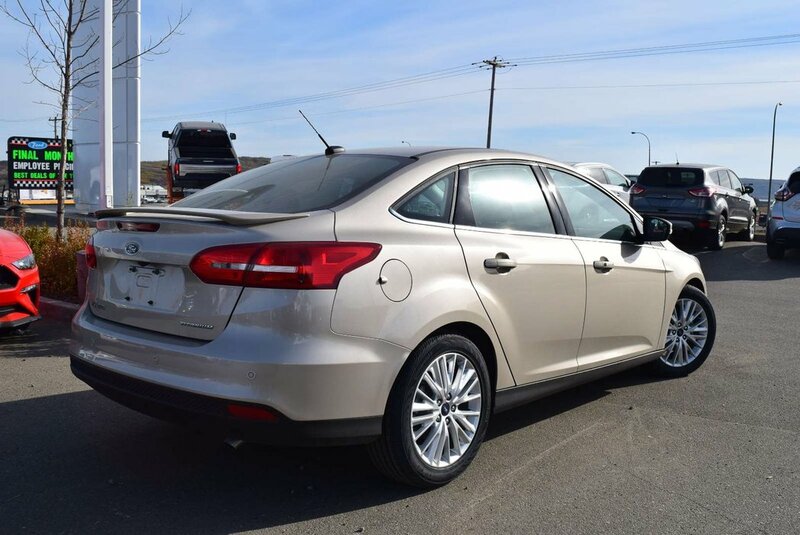 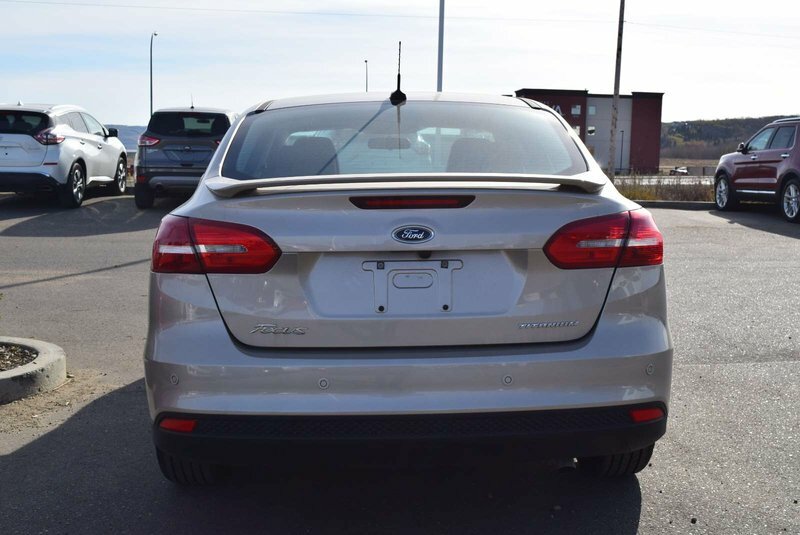 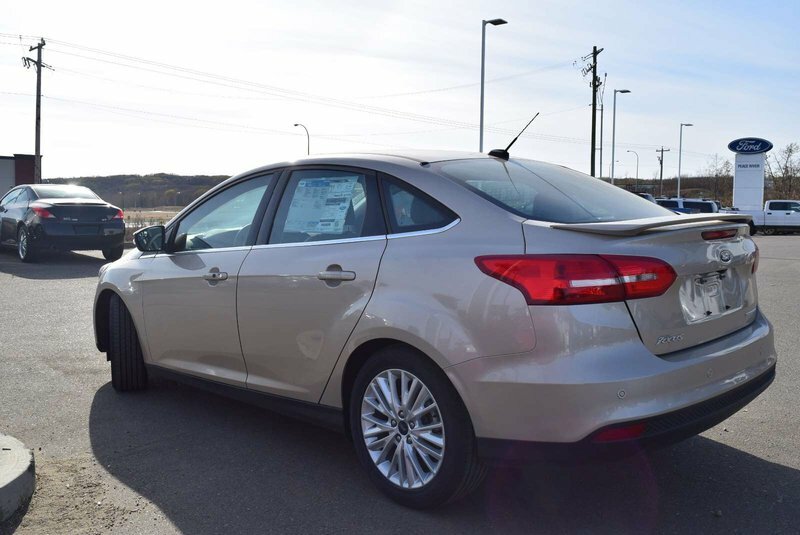 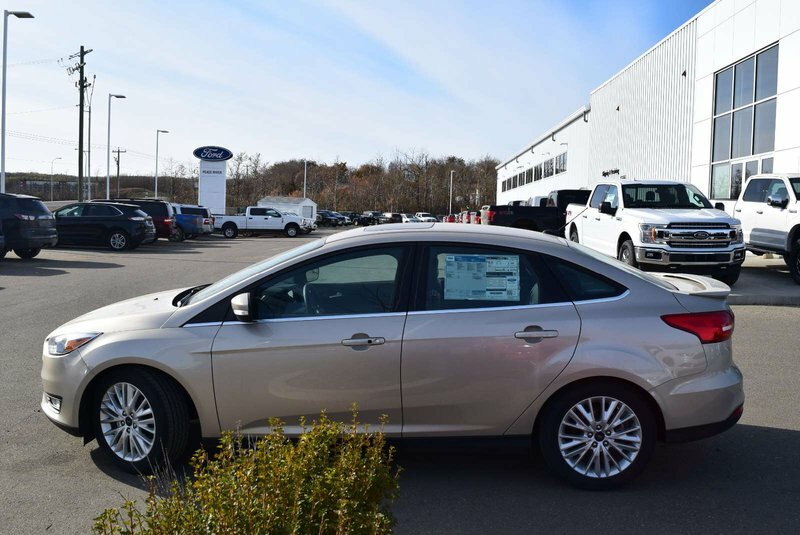 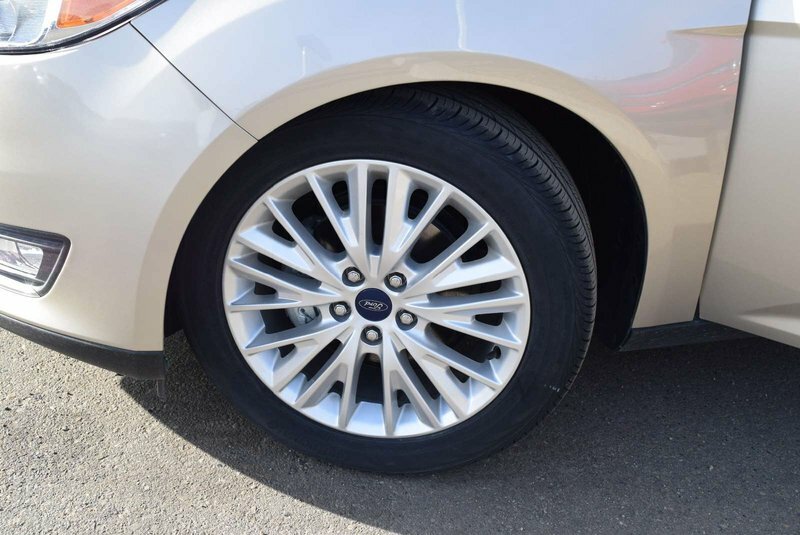 Blending beautiful style with versatility, our 2018 Ford Focus Titanium Sedan stands out from the pack in White Gold! 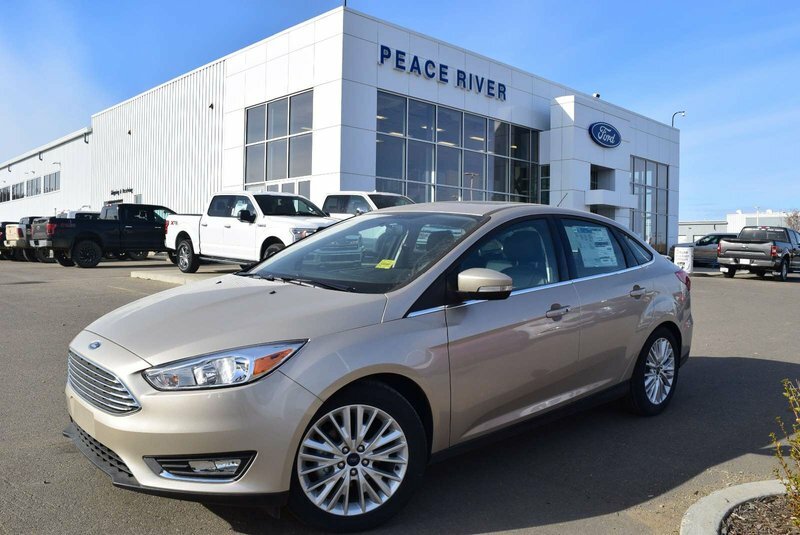 Powered by a proven 2.0 Litre 4 Cylinder that delivers 160hp while connected to a responsive 6 Speed PowerShift Automatic transmission. 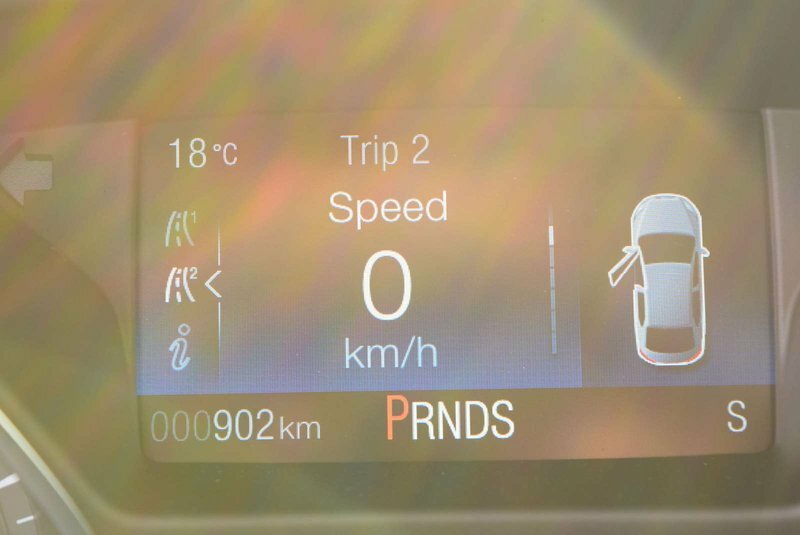 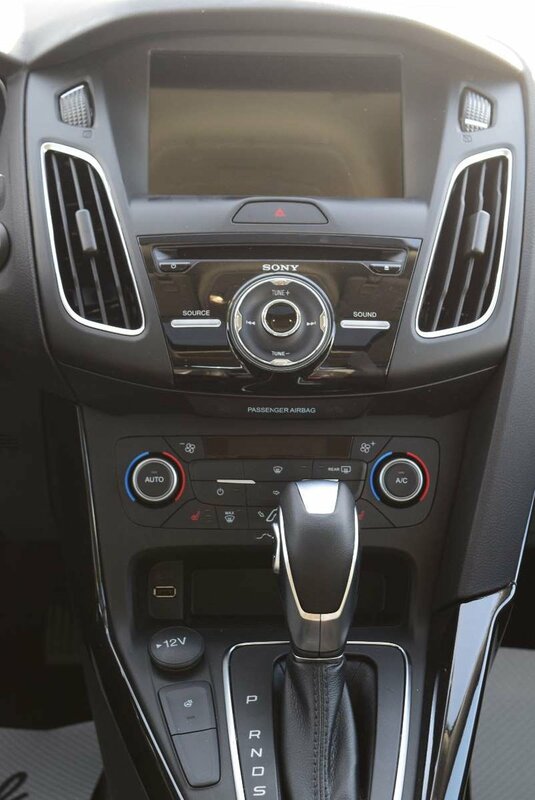 You are rewarded with near 6.9 L/100km, and everyone will enjoy the balanced ride with composed handling. 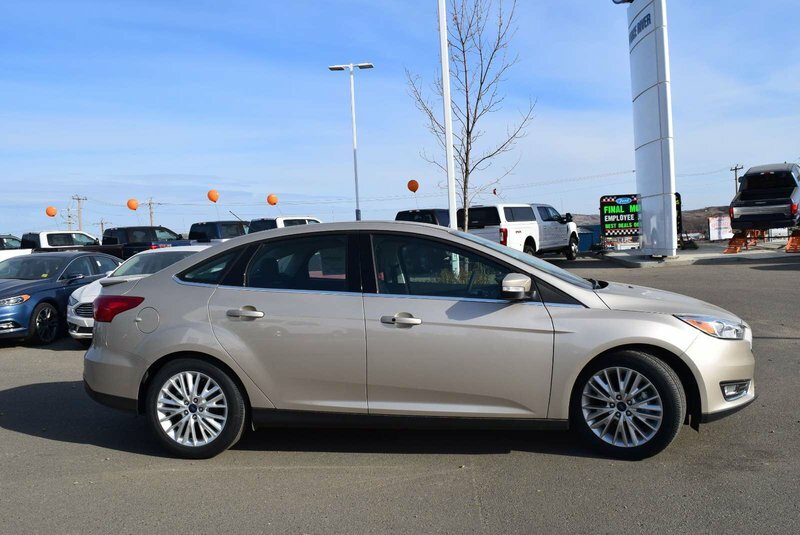 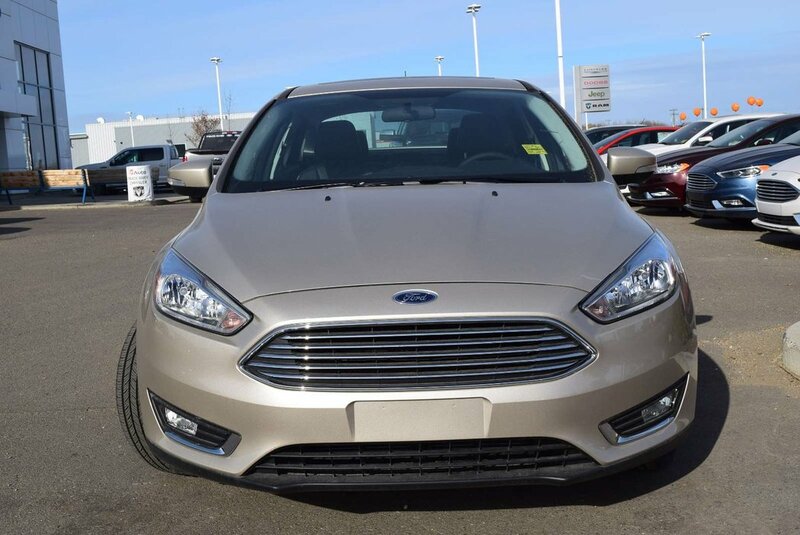 Sleek and sporty with its great-looking alloy wheels, fog lights, and a sunroof, our Front Wheel Drive Titanium grabs attention at every corner. 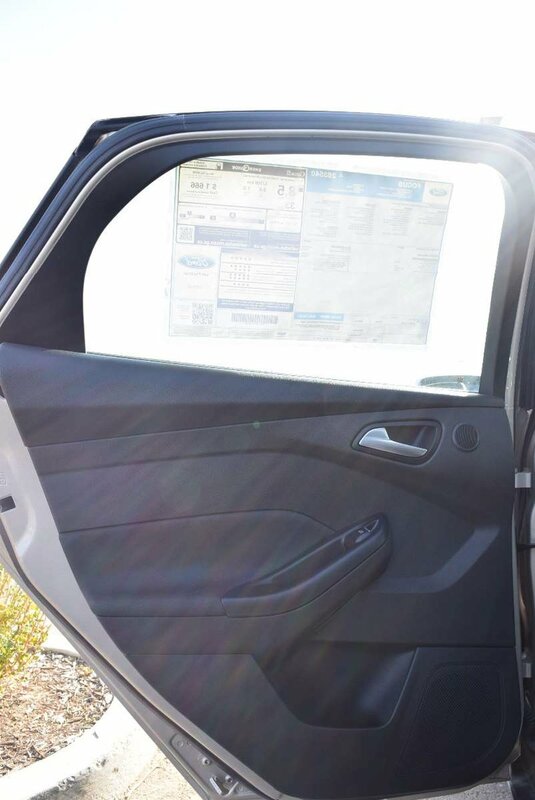 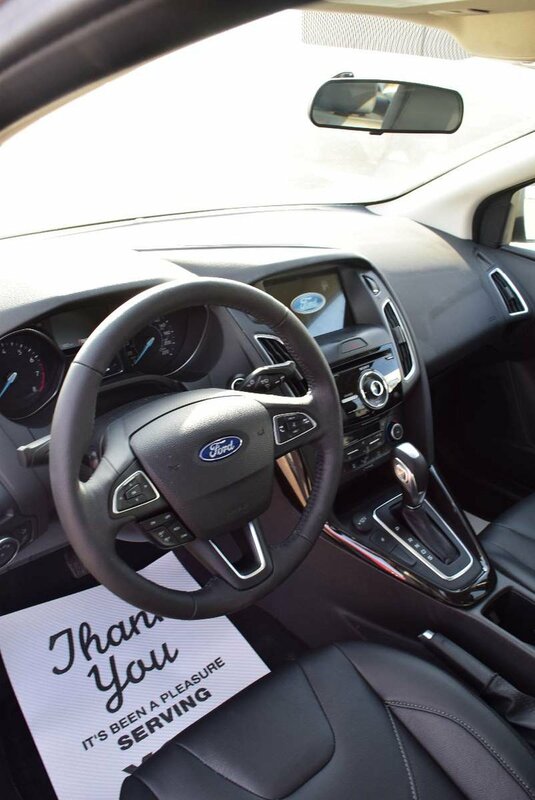 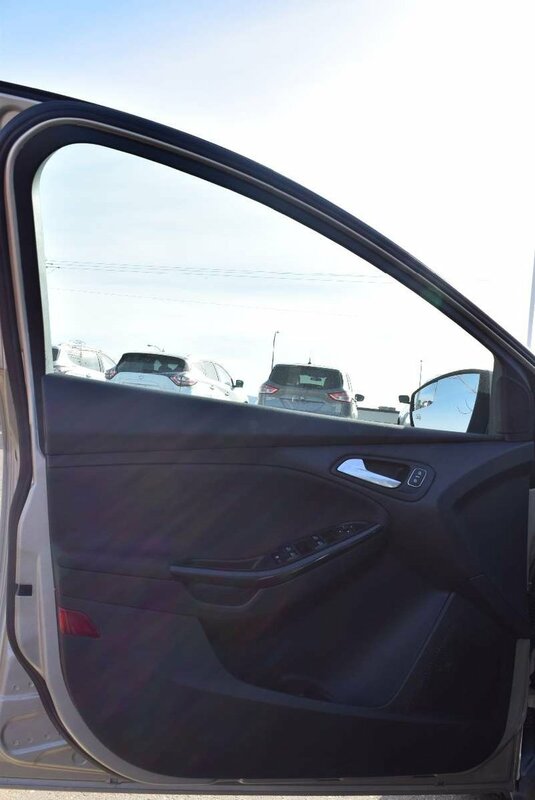 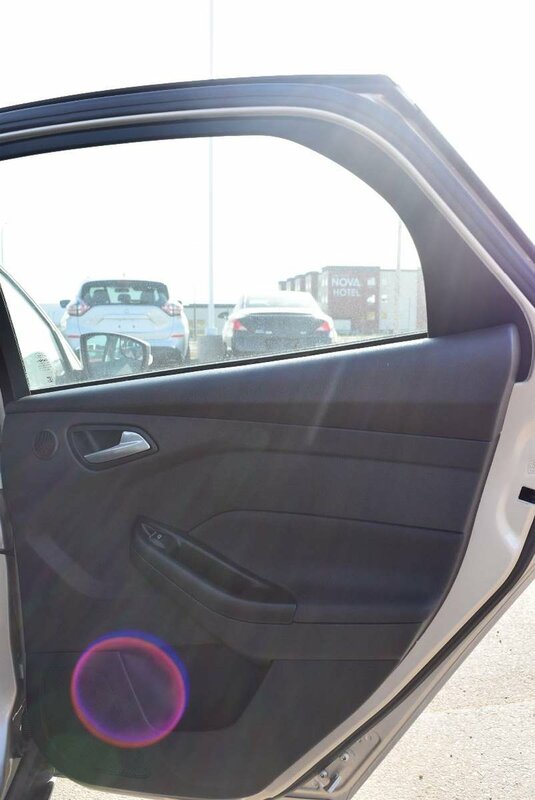 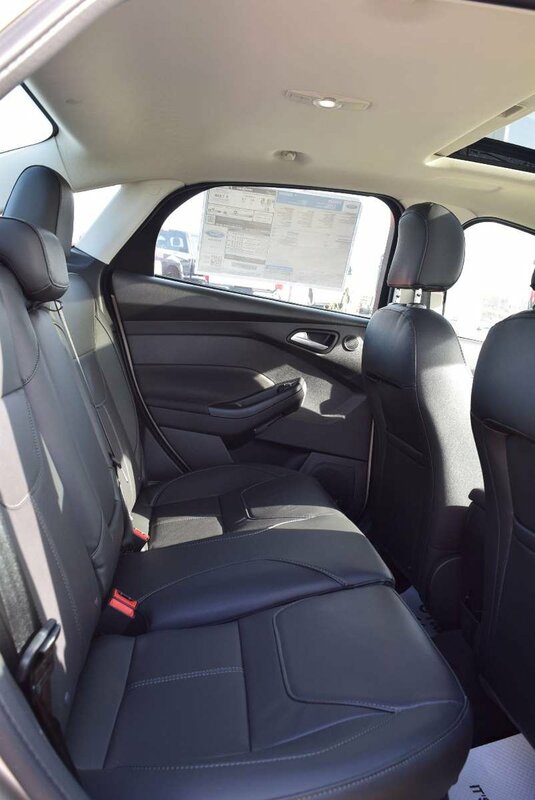 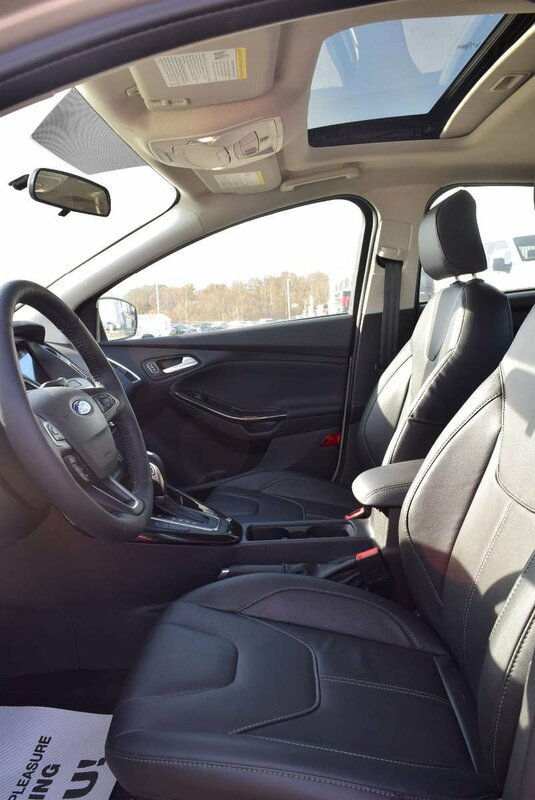 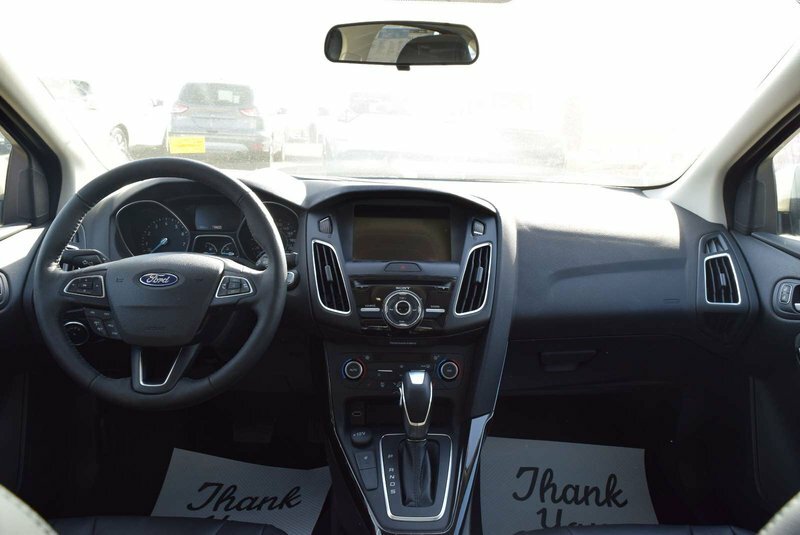 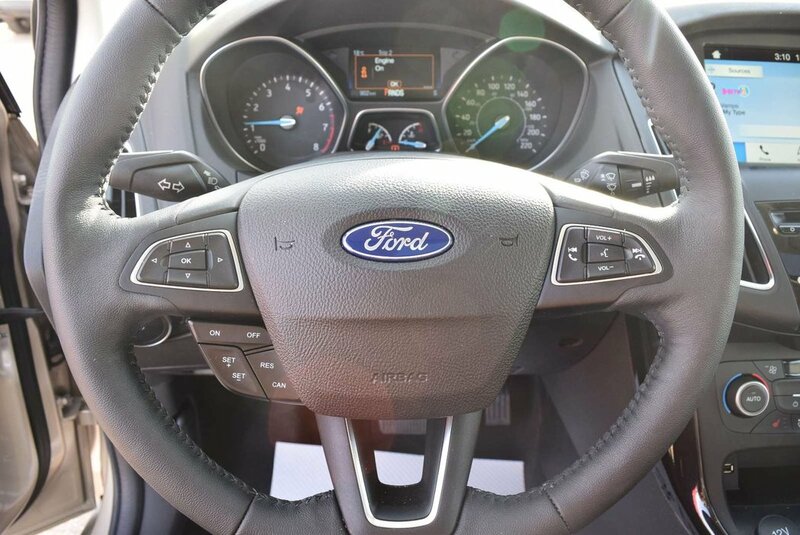 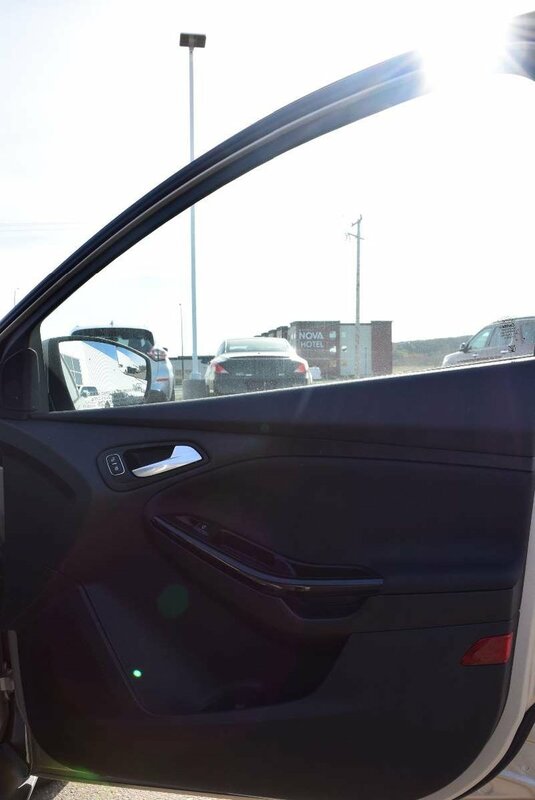 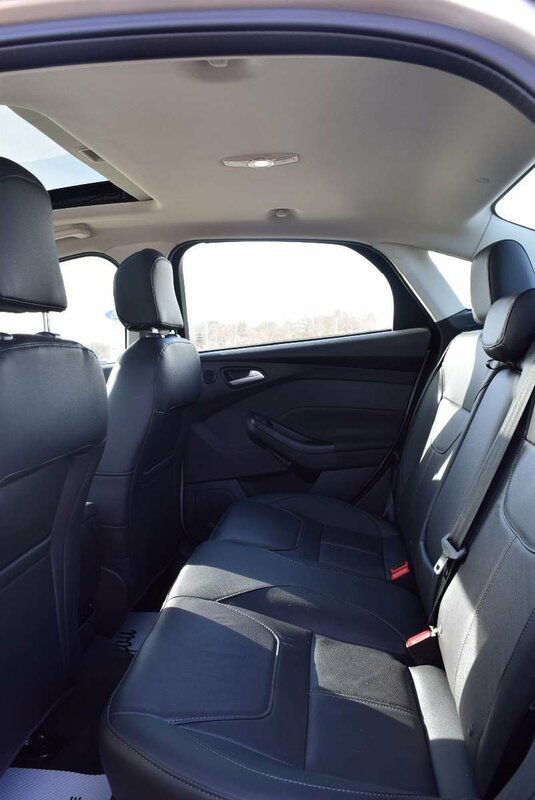 Open the door of our Focus Titanium, sit back and relax in the leather-trimmed heated front bucket seats, grip the heated steering wheel, and maintain next-level connectivity via Sync 3 infotainment with voice-controls. 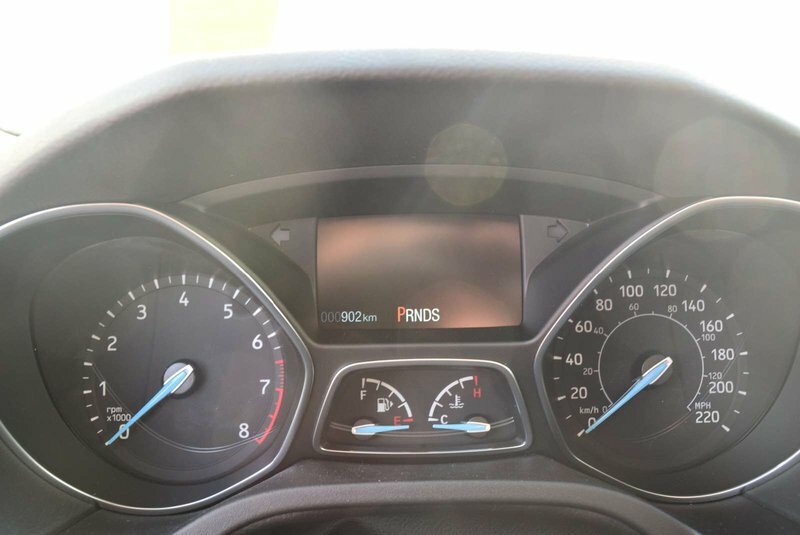 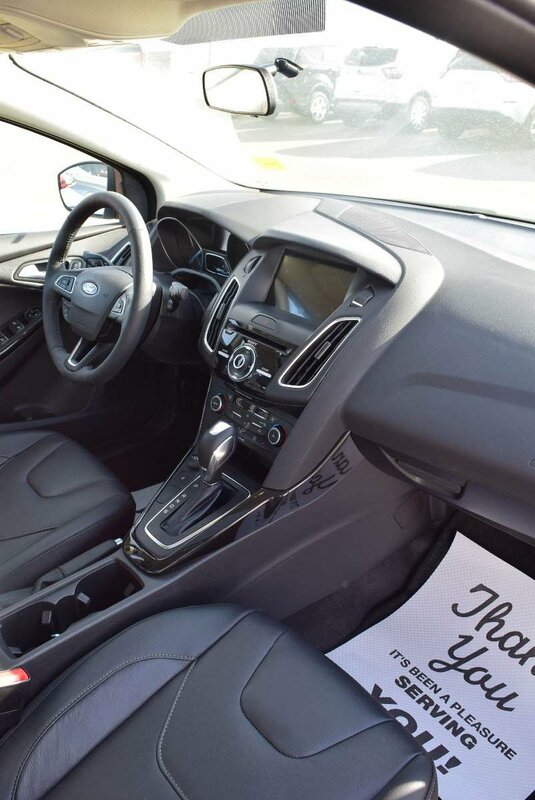 You will also enjoy a touchscreen, Bluetooth, a terrific Sony sound system, available satellite radio, CD/MP3, and two smart charging USB ports. 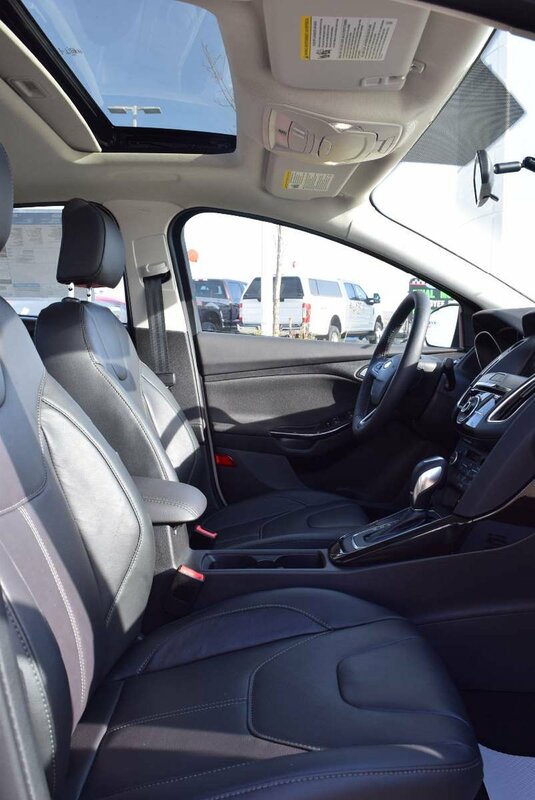 Other comforts and convenience features include remote start, ambient lighting, power accessories, push-button start, a rearview camera, and plenty of head and leg room. 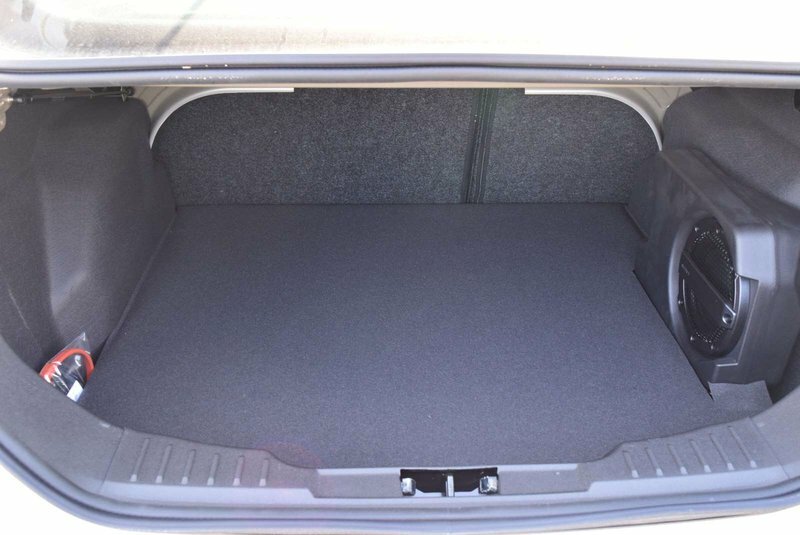 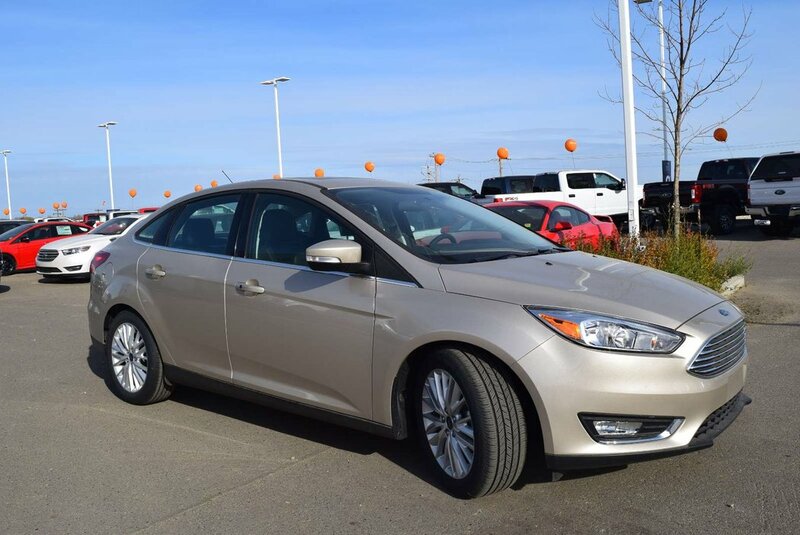 You'll also like that it has ample cargo space in the trunk to keep your active lifestyle on the go with you.